Last week we release the first version of the Observu App. The app lists current and most recent incidents for a quick status check. If there is anything actionable, those items will be prioritised on the home screen. The main feature to install the app for is the ability to receive push notifications. These can be set up in the same way as our other notifications, with configurable thresholds and intervals. The app has been implemented in C# using Xamarin.Forms, allowing for quick cross-platform development. 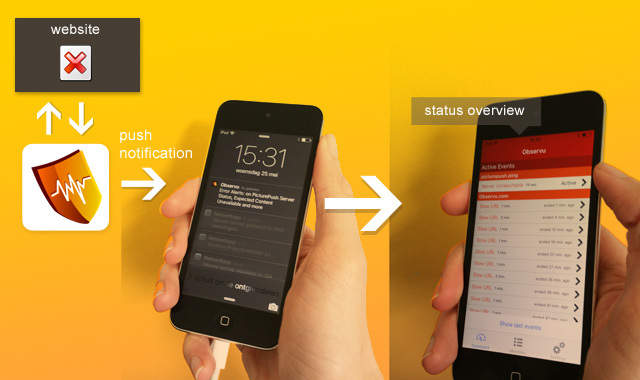 Push notifications are powered by Amazon SNS. We plan to quickly extend the app to also include detailed reporting regarding current status and historic data. We welcome all feedback.